Dombrowski, E., Rotenberg, L. & Bick, M. (2013). Theory of Knowledge. (p71). Oxford. 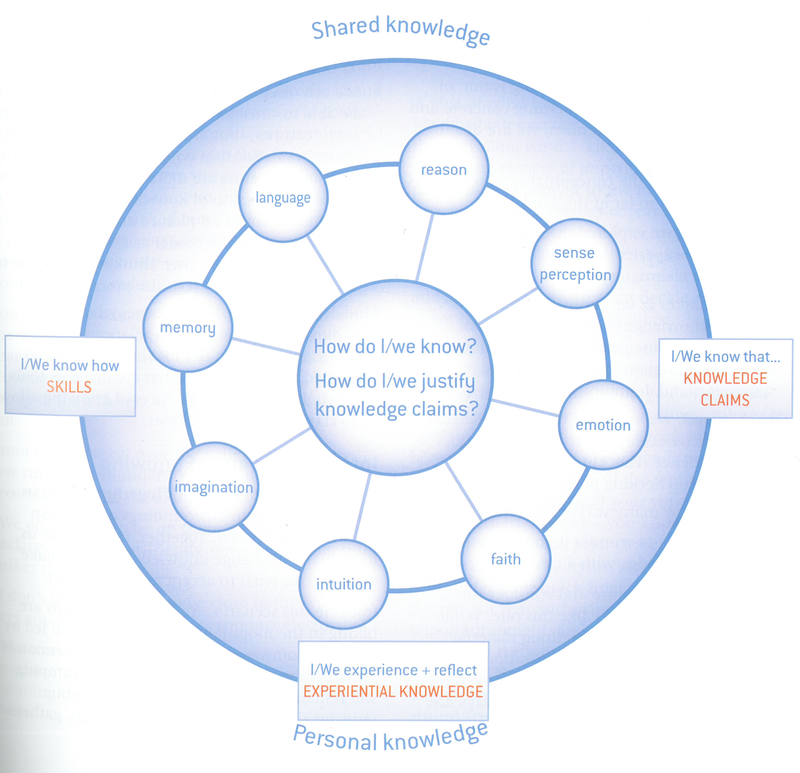 It is interesting to see how the diagram of Dombrowski, Rotenberg and Bick (2013) presented above has developed from the International Baccalaureate (1999) presented in van de Lagemaat’s ‘Theory of Knowledge for the IB Diploma (2005, p. vii). Through experience, I have found that getting students to compare and discuss the changes is worthwhile.